All my photos were shot with a Williams Optics Telescope using a Atik Horizon. I use a filter similar to the Triad filter that OPT sells for $800 in 2" but I found one that the manufacture claims that it is just as good or better on Ebay for $160 look up (Filter Light Pollution Nebula or Galaxzy Improved 95%T NPB DGM Skyglow 48mm 2") with this filter I found that it works better without Darks and Flats just shoot and process.. 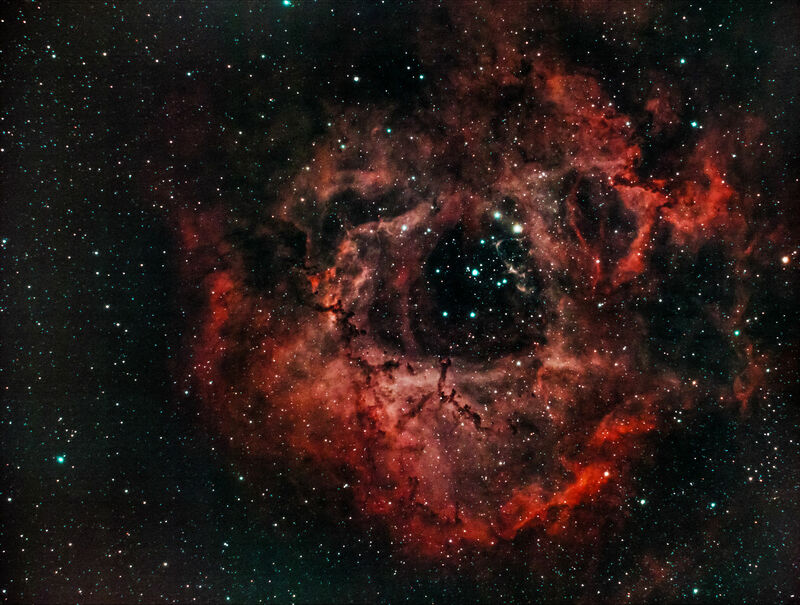 The Rossetta was shot 12/6/18 75 120 second exposures, using my Williams Optics ZenithStar 103+WoEQ 35 Mount, combined and background extracted with Pixinsight, stretched in Nebulosity, then final touchup in Photoshop. I started Astro photography in Nov. 2017 as a retirement hobby so I am still in the learning phase. All photos so far have been taken from my home in Kennesaw Ga 17 Miles North of Atalanta Ga. in a red zone. My telescopes consist of a WO z66, WO z80, WO z103, and a Celestron C8. The telescope I use is based on the target for the night.